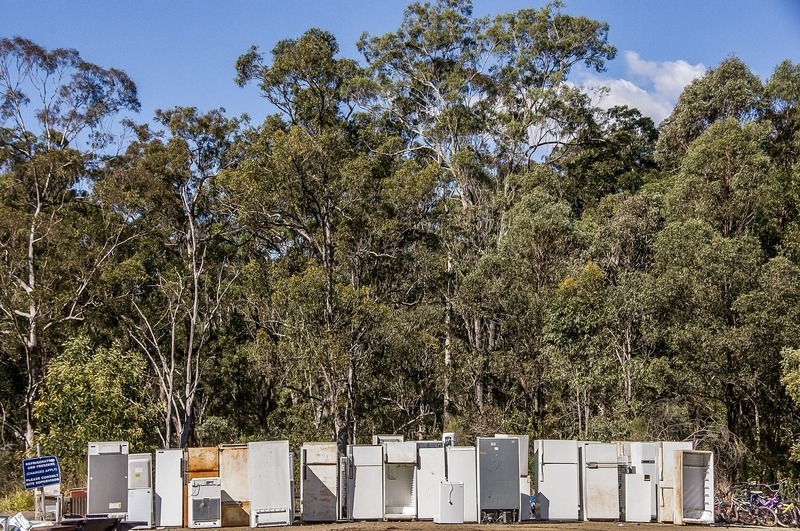 Should You Sell, Throw Out or Fix the Expensive Stuff? Smoke alarm maintenance (and smoke detector) is a very simple task and should be performed in addition to weekly testing and yearly battery replacement (some manufacturers might suggest to replace the battery twice a year) – put it on your house maintenance priority list! 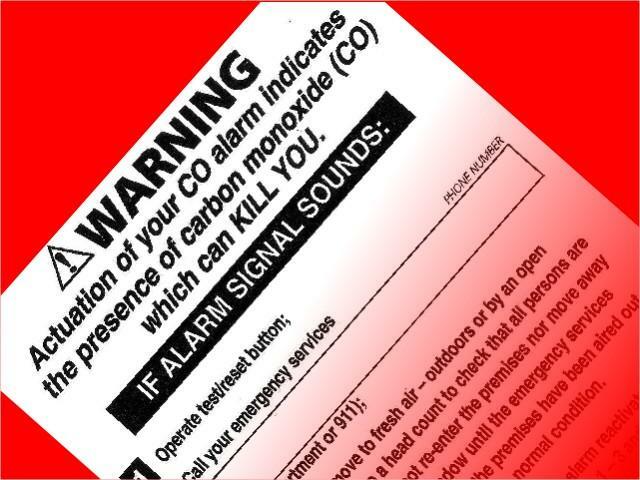 Carbon monoxide alarm maintenance doesn’t require any special skills from you. However, just like the smoke alarm maintenance it is something that should become a routine for you. Those few minutes dedicated to CO alarm maintenance and testing might be a difference between life and death. Before I explain where to install Carbon Monoxide detector alarm and show you recommended CO detector alarm locations in your home, let me list a few areas where CO detectors are not required. However, if they are required and you have them installed – make sure to put them on a house maintenance priority list. 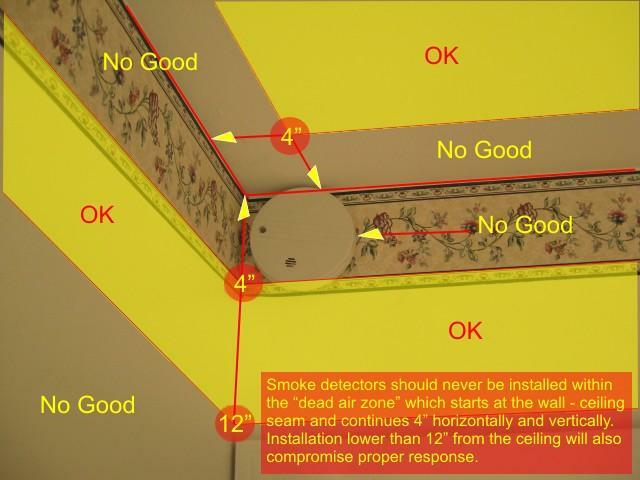 Where to install a smoke alarm detector and its positioning are as important as having this life saving device installed at all. Remember that placing a smoke detector in a wrong location might delay its response to smoke or even prevent it from sounding an alarm at all. Do you have a balcony and small children running around the house? 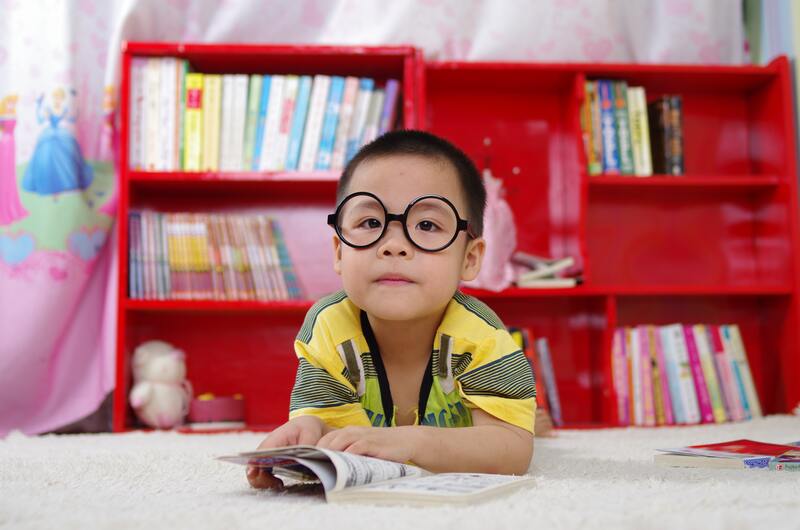 If so, before you start reading about the balcony railing safety code, make sure that they are not playing alone. My children are already older and I don’t have to worry about them fitting in between the balcony railings. However, every time I inspect a property with guardrails that a small child can simply walk through or climb up, I get goose bumps. 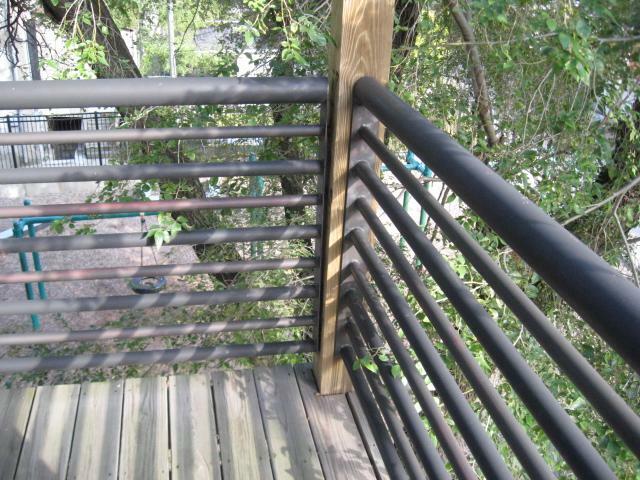 Remember to inspect balcony railing periodically – it’s an important house maintenance schedule item! 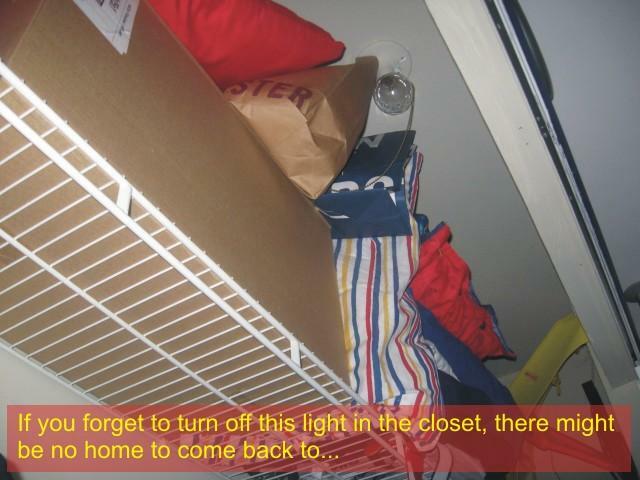 Incandescent closet light fixtures can easily cause closet fire and this fire hazard is very often ignored by the home owner. Is your closet light fixture safe? Keep reading so you can verify that it’s not going to cause any closet fire. 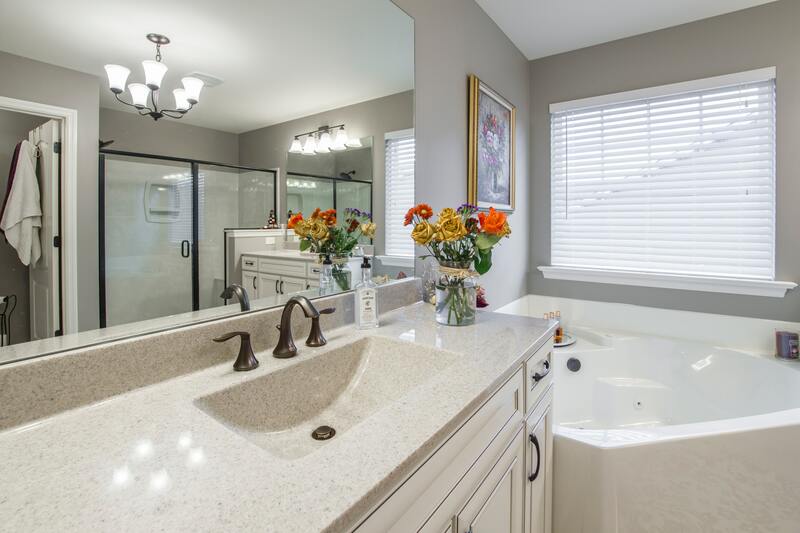 We rarely pay attention to our closet light fixtures for as long as they work. Stacking cardboard boxes and plastic bags filled with old clothing or Christmas gifts wrapping paper against that exposed, glowing light bulb can easily and pretty fast result in a closet fire.